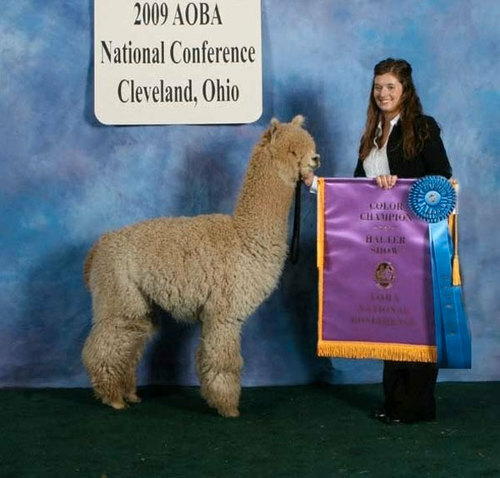 Idola’s dam is the 2006 first place winner at AOA National halter, first place and Reserve Champion fleece show at 2006 National. 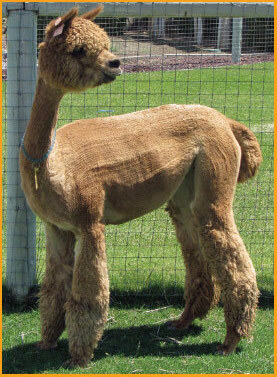 She is also the 3X Color Champion at halter plus first in halter at the 2005 Futurity. 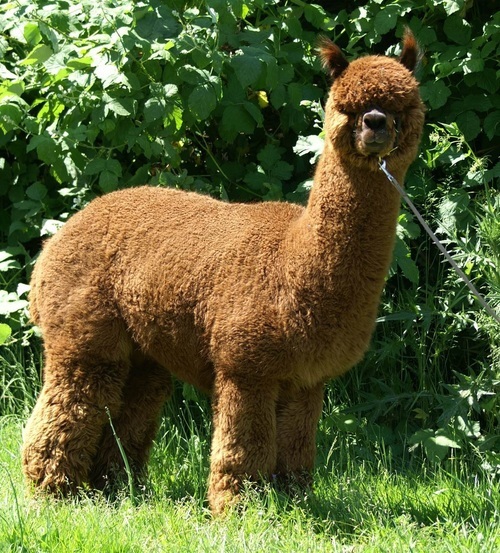 Patagonia’s Lennox, the sire of Idola, is a multiple Get of Sire winner and has multiple championships. He has sired too many color champions to name, and at the age of 13, still has retained fineness and density. 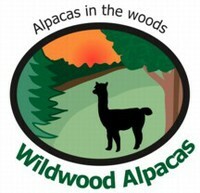 (Density: 83.25 SQ MM and Rates in the top 0.5% of all alpacas tested by Dr. Evans). Idola is an exceptional female representing color genetics at its finest. Look at the color of that Golden Fleece. In this economy, flexible financing is critical to getting started. For most sales financing includes 20% down payment and interest free equal payments for the balance over 12 months. Of course if you are purchasing multiple animals you will receive a discount based upon size of purchase and payment options can also be flexible. Talk to us about your proposal and we will do our best to meet both your and our needs.